If you have a website or if you want to be a blogger or earn through the Internet then you need to know what SEO (Search Engine Optimization) is. There are a few SEO terms commonly used on the Internet so you need to familiarize yourself with them. Some of you may already know these SEO terms so this post is a refresher but a must read for the beginners. SEO: It stands for Search Engine Optimization and it deals with everything related to optimizing a website to make its pages appear in the organic search result. PPC: It stands for Pay Per Click and by this technique, one can purchase clicks from the search engines. Backlink: It is commonly known as inlink and it is a hyperlink on some other website or blog and points back to your website. Inlinks are important for SEO purposes and increase the PageRank of a webpage and affect its position in the search engines. PageRank: It is one of the 300+ factors Google uses to determine the relevance and importance of pages. If a link on page A is pointing to page B then Google will determine the relevance of that link and will consider it as a vote of trust from page A for page B. Title Tag: It is simply the title of the article but it has its own importance. The title should be unique; SEO optimized and should contain the keyword. Link farm. These are used to increase the PageRank through an artificial way. In link farms, every website links to every other website but these techniques are considered “spam” by the search engines now days. You can be penalized if you use these techniques. Meta Tags: Search engines look at the Meta tags to get the understanding of your website and the content available in it. You can place these tags in the HEAD section of the HTML code of your index page. These tags are not visible to the human visitors normally. NoFollow: People seldom pay attention to this factor while commenting on blogs. Nofollow means that the website on which you are commenting does not endorse the link. Google does not count such links and nofollow links do nothing to improve your PageRank. However, you can get some quality traffic by commenting on blogs. Link Sculpting: Webmasters used the nofollow attribute to utilize their PageRank to rank their own pages in the search engines via link sculpting. This technique is no longer useful now as Google handles the nofollow attribute in a different way. Linkbait: It is a piece of information or web content written to attract the backlinks from other sites. It can be a webpage or a blogpost or it can be a picture or a video. A good example of “linkbait” is a top 5 or top 10 list that instantly becomes popular on social media sites. Anchor text: It is a clickable word and highly important for SEO. Google and other search engines associate those keywords to your website and start ranking your pages accordingly. Search Algorithm: Google frequently changes its search algorithm to find and rank the most relevant pages for any search query. There are over 250 factors involved and some of the most important of them are title tag, PageRank, meta tags, and unique content of the website. Keyword Density: It was an important factor and most important for search queries that had low competition. Keyword density is calculated by dividing the total number of keywords with the total number word on the page. Keyword density is not of much importance in new Google algorithms and is not considered an important SEO factor today. Sandbox: Googlebots frequently crawl the web and search for new websites. There is a separate index for newly discovered websites called sandbox. The websites present in the sandbox are not displayed in the search results for normal search queries. Once Google confirms the legitimacy of the website, it removes it from the sandbox and places it into the main index. Keyword Stuffing: It is directly related to the keyword density as people knew that the pages are ranked according the keyword density. They started to trick Google by stuffing their content with keywords. But today, keyword stuffing is considered spam and your website can be penalized if you use this technique. SERP: The term stand for Search Engine Result Page and it refers to the page displayed when you search for a keyword. 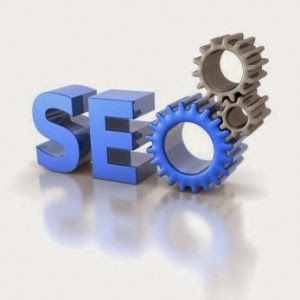 The traffic sent to your website by the search engines depends on SERPs. Cloaking: This technique is used by a lot of webmasters and it is considered spam. It is used to make the same web page look different in the search engines and rank it high for certain keywords. People then sell irrelevant items and services through those web pages. Web Crawler: It is commonly known as “bot” or “spider,” it is basically a computer program that browses the web pages frequently on behalf of the search engines like Google. These are basically programmed to find the new links, pages and images and initiate the indexation process. Long tail Keyword: These are rarely used keywords and usually a combination of 4 or more words. They are important for SEO too as their competition is relatively low. Robots.txt: It is a simple file present in the root directory of the domain and its function is to tell the robots the structure of the website. You can modify the robots.txt to restrict specific robots and can restrict their access to a certain section, files and folders of your website. Duplicate Content: If the content of a website is not unique and matches with the content of other websites then it is considered duplicate content. There are multiple drawbacks of putting duplicate content on a website and search engines can penalize you for doing this. Agree, but Google itself gives you Starter guide for understanding how to optimize your website?